One majestic whale stretches across this wonderful lumbar pillow. 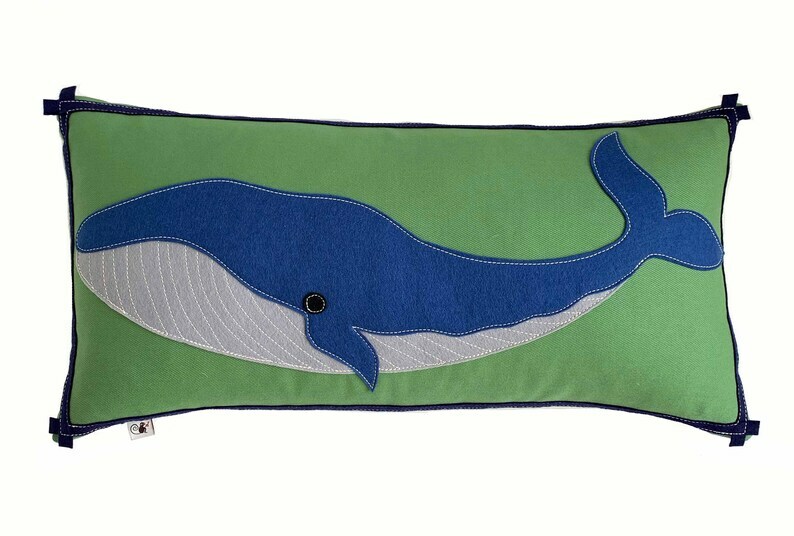 The whale is made from blue and grey wool felt and appliqued on a cheerful green cotton twill. Creamy white topstitching adds detail and texture to the whale's underbelly and the whale is framed with a navy blue felt ribbon, adding a dash of tailoring and color. 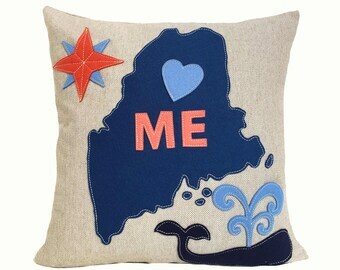 This fun whale design is perfect for a beachy home or a nautical child's room. You will love the longer lumbar shape--perfect for a bed or couch! Available in a 6 colorways, or in custom colors upon request. 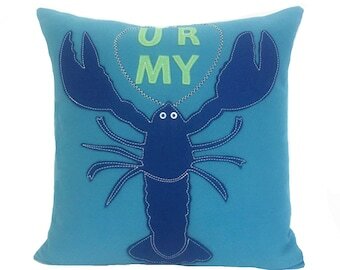 All of our pillows are made with love in our studios in Belmont, MA, where we design and sew all of our pillows and cushions. We hand cut our appliqués, hand embroider details, and machine stitch to ensure durability. Cheeky Monkey products are made beautiful and strong for children to enjoy. 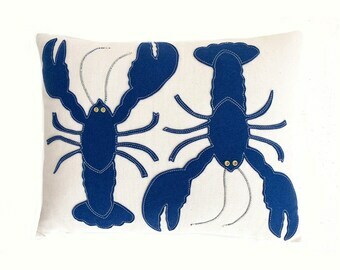 Most of Cheeky Monkey Home's pillows are made to order. Please allow 3-4 weeks to ship. Please visit our Policies Page, to learn more about shipping, payment and returns. While the dimensions. colors and trims are predetermined, we are open to customizing colors and details with some of our designs. Please convo us if you would like to discuss the options.